The UCF Book Festival is coming up on Saturday April 16, 2011. 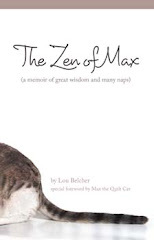 Between now and then, I will be blog about authors who will be featured at the festival. If you're near Orlando on April 16, you'll want to stop by the UCF Arena and enjoy the festival. Susan Hubbard is one of the authors featured at the festival this year. It's the perfect opportunity to hear her speak. Hubbard, the author of seven books, including The Society of S (2007) and The Year of Disappearances (2008). Her new novel, The Season of Risks, was published by Simon & Schuster in July 2010. National Public Radio's Margot Adler called Hubbard's writing "elusive, complex, poetic and sophisticated." (Margot Adler, National Public Radio, Feb. 2010). Hubbard is professor of English at the University of Central Florida, where she received the College of Arts & Humanities' Distinguished Researcher Award in 2008. She has received teaching awards from Syracuse University, Cornell University, the University of Central Florida, and the South Atlantic Administrators of Departments of English. She has received writers' residencies at Yaddo, the Virginia Center for the Creative Arts, the Djerassi Resident Artists' Project, and Cill Rialaig. The vampire sects are at war-and war among vampires is fought not with weapons, but with minds. While the Sanguinists advocate peaceful coexistence with humans and nonintervention in mortal affairs, Nebulists favor genetic modification and psychological control of the human population-and they have taken a keen interest in one Ariella Montero. One of the few half-vampires, half-mortals, Ari is painfully aware that she is an object of interest. Her talents and vulnerabilities differ from those of "normal" vampires, and the Nebulists are intent to run a series of tests based on these differences to aid their research. Set in Florida, Georgia, Washington, D.C., and Ireland, the third installment in the Ethical Vampire series centers on losing and reclaiming one's identity. 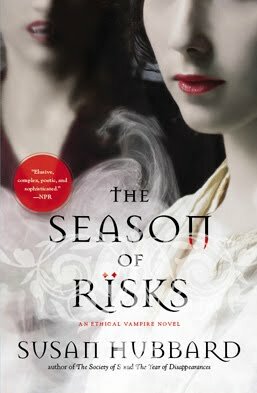 Chronicling Ari's adulthood for the first time in the series, The Season of Risks explores the nature of memory, the power of folk tales, the beauty of impermanence, and the darker sides of vampirism.